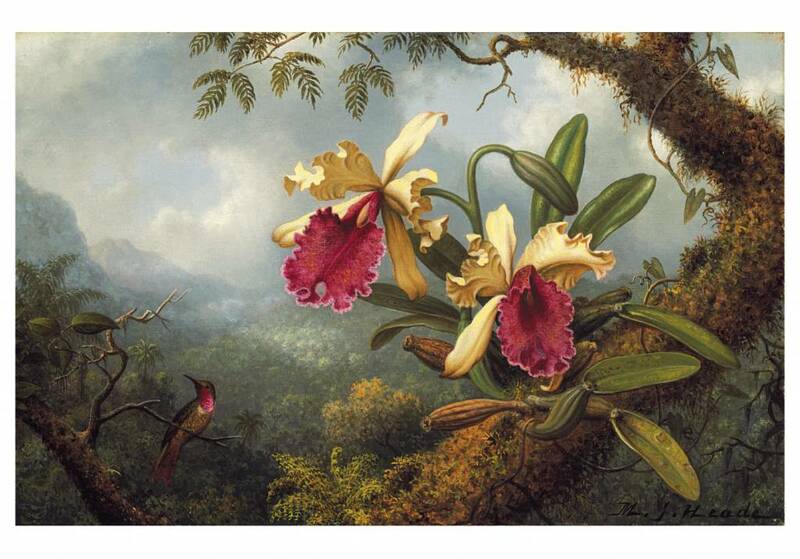 One of the most inventive nineteenth-century American painters, Martin Johnson Heade was the only major artist to devote equal attention to landscape, marine and still-life subjects. 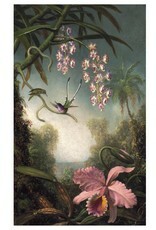 Heade (1819-1904) created especially dramatic, unique compositions featuring hummingbirds and tropical flowers. 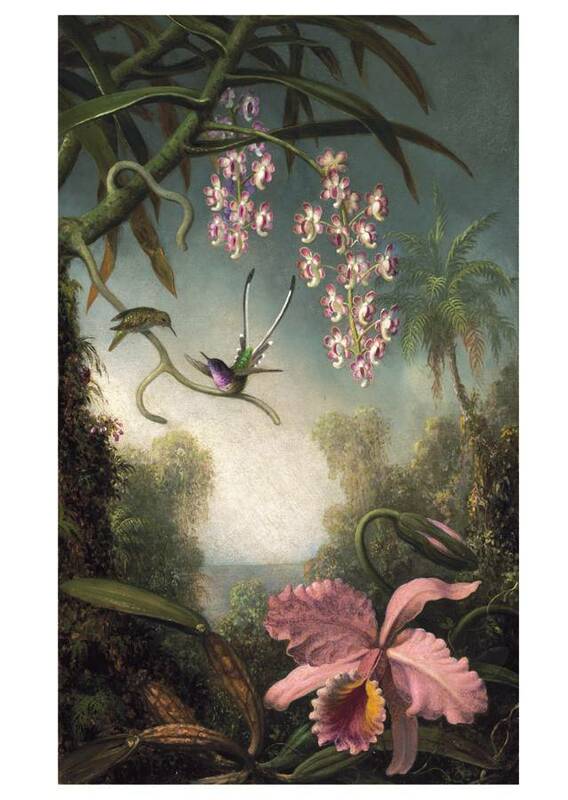 Forgotten by collectors and scholars after his death, Heade was rediscovered in the early 1940s. 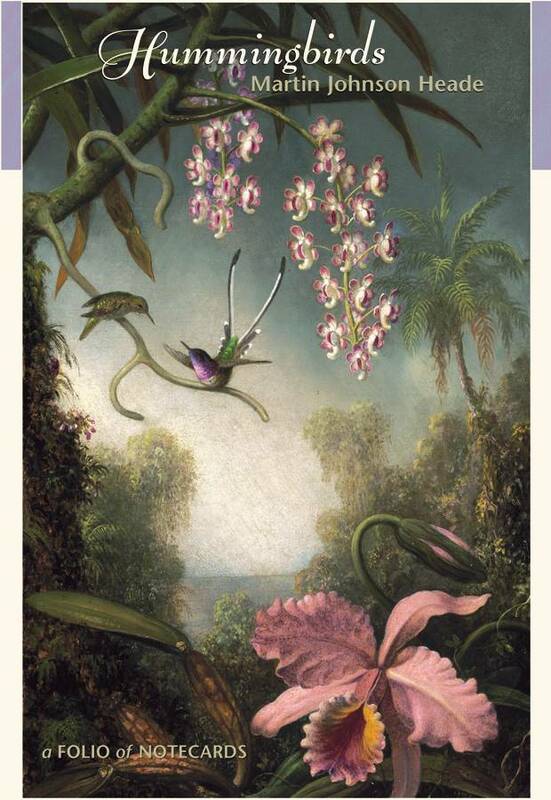 Maxim Karolik, a far-sighted patron of the Museum of Fine Arts, Boston, donated more than 30 works by Heade, forming the preeminent collection of his work and making the museum a major center for the study of the artist. 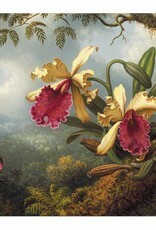 Although Heade spent most of his life on the fringes of mainstream art, he is increasingly recognized as one of the giants of nineteenth-century American art. The pieces reproduced in this notecard folio show why his reputation has advanced steadily and continues to grow.